Nordic Idea was established in 2011 and is an ambitious company recognised as one of leading contract furniture factories in Lithuania. Our fast-growing company expanded by 80% during 2015 and has assembled a professional team of specialists, whose main goal is to find the best solutions for the clients. According to the clients' requirements, we design, produce and assemble furniture made from chipboard or MDF for accommodation, educational and nursing sectors. Moreover, together with the clients we create and produce living room, bedroom, bathroom and entry hall furniture collections for the home. In 2017 Nordic Idea built its second factory which lead to increased production capacities by 3 times. 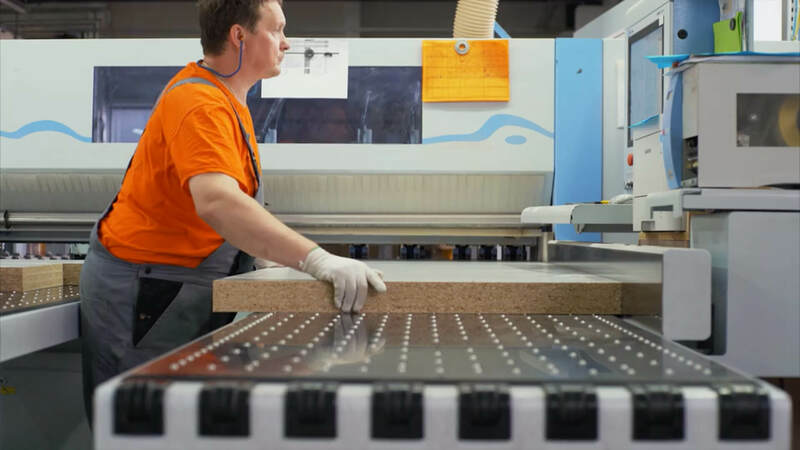 Now two company's factories cover an area of 8000 m2 and can process 39,000 m2 of chipboard (this means about 1500 rooms or 6000 flat pack furniture units) per week. So these capacities allow us to ensure quick and high quality implementation even of large projects! The largest part of Nordic Idea’s sales, more than 90 percent, consists of export to foreign countries, with our main clients in the United Kingdom, Germany, Sweden, Belgium, Switzerland, Poland and The Middle East. We usually collaborate with student accommodations, hotel project developers, construction companies and wholesale furniture companies. Our partnership with our clients lasts for many years, which ensures sustainable and long-lasting relationships. Nordic Idea is constantly improving its quality management system, which complies LST EN ISO 9001:2008, EN ISO 14001:2005 and FSC-STD-40-004 V2.0 standard. Quality policy is constantly reviewed, updated and available for all interested parties. Our company‘s personnel is acknowledged with it as well. We try to educate each employee’s individual responsibility for clean environment, working culture and produced product quality. Implemented environmental policy ensures, that only legally grown and cut off timber is used for production.